Manual 4-Speed NP-435Direct mount for some models.60’s/70’s Trucks, Custom application. 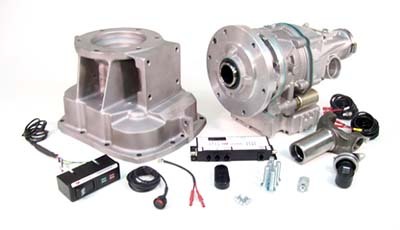 Getrag 5-Speed 2-Wheel Drive with Overdrive.Spicer 1350 front & rear fixed yoke, installation is $200 additional.Replaces carrier bearing in 2pc. Driveshaft applications, or becomes a carrier bearing in a single piece driveshaft application. All applications 89 to 93. Manual 5-Speed NV4500.Replaces tailhousing.94-97 3/4 and 1 ton trucks with mechanically driven electric speedometer. 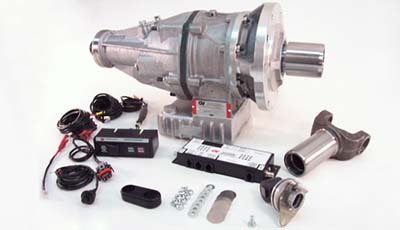 Manual 5-Speed NV4500.Replaces tailhousing.98-02 3/4 and 1 ton trucks with mechanically driven electric speedometer. Manual 6-Speed NV5600.Replaces factory 2-Wheel Drive tailhousing with Dodge 4×4 tailhousing.99-2004 3/4 and 1 ton pickups. 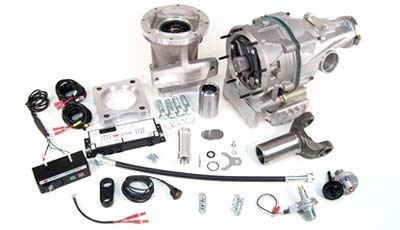 Includes factory 4×4 tailhousing. 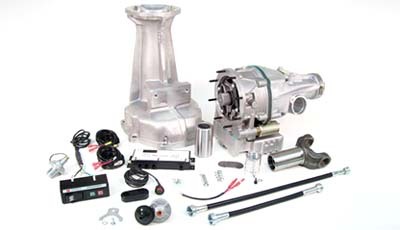 Manual 6-Speed G56.ZF Nose Direct Mount Kit.2005 and Newer 3/4 and 1 ton pickups – Bolts directly to tranmsission. 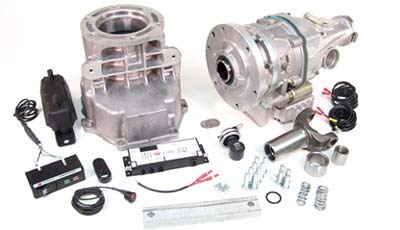 Manual 4-Speed NP 435.Replaces 4 3/4″ tailhousing.67-79 3/4 & 1 Ton Ford Pickups. 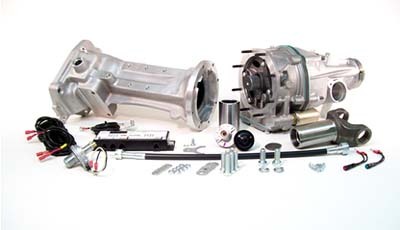 T18/19 4-Speed Manual Transmission.Replaces 4 1/4″ tailhousing.80-87 3/4 & 1 ton Ford Pickups. 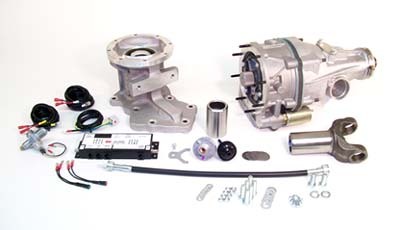 ZF 5/6-Speed Manual Transmission 2-Wheel Drive with Overdrive.Spicer 1350 front fixed yoke and Spicer 1350 rear fixed yoke, installation is $200.00 additional.Replaces carrier bearing in 2pc. Driveshafts. 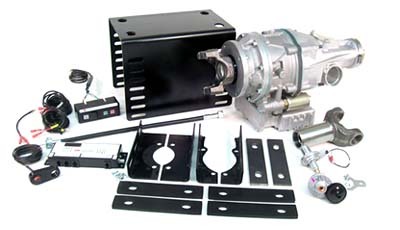 Fits all applications except 90′ & newer standard cab trucks. Call GV about direct mount option. ZF 5 Speed Manual Transmission with Driveline Park Brake.Replaces tailhousing. Park brake moved to back of 2-speed.88-Newer Ford F-Superduty with driveline parking brake. 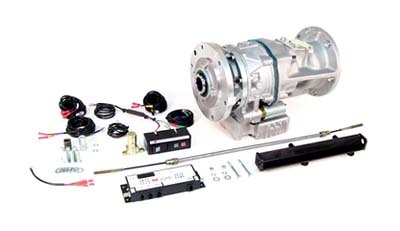 Manual 4-Speed Muncie M-465.Replaces Tailhousing.60’s-92 Truck Manual w/mechanical speedo. 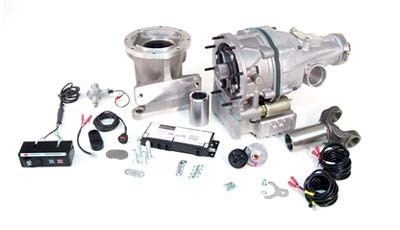 Manual 4-Speed Muncie M-420.Replaces Tailhousing.50’s-60’s Truck, Manual, Custom kit AA. 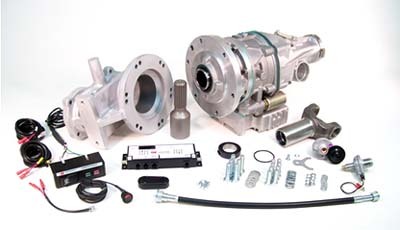 Manual 4-Speed Muncie M-21 – 27 Spline – One Piece Adapter.Replaces tailhousing.Muscle cars and street rod trucks. 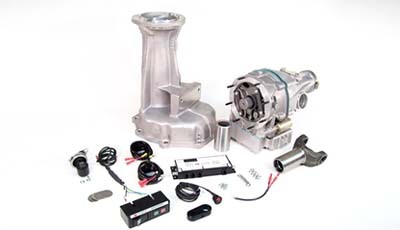 Manual 4-Speed Muncie M-21 – 32 Spline, One Piece Adapter.Replaces tailhousing.50 to 57 Cars cars and street rod trucks. 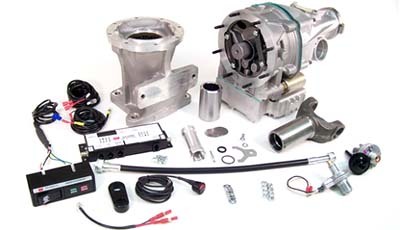 Manual 4-Speed Muncie M-465.Replaces Tailhousing.88-92 3/4 & 1 Ton pickups w/cast iron 4spd & electric speedo. Manual 5-Speed NV4500 Elec Speedo.Uses GM 4×4 adapter (included).93 and newer 3/4 and 1 ton trucks with electric speedo.